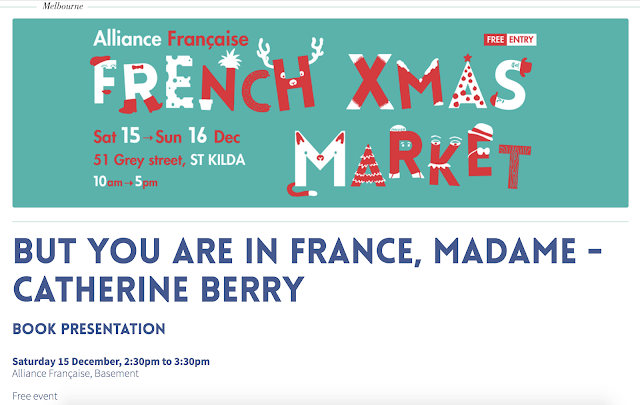 A catch up in Melbourne? 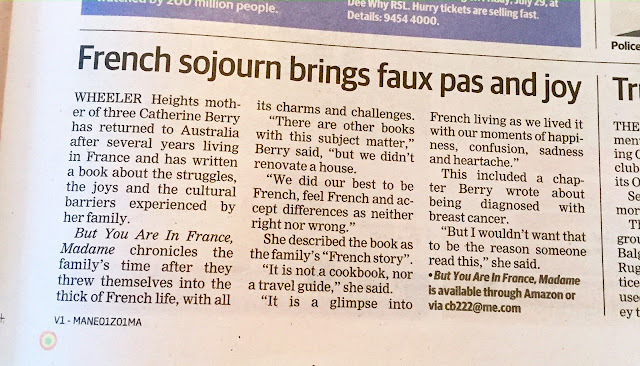 A bit of publicity...If you are in Melbourne and thinking of heading to the Alliance Française Christmas market (51 Grey St, St Kilda) on Saturday 15 Dec, I will be in the basement at 14h30 giving a talk on our French life, which led to the writing of my book and the purchase of our French home. Perhaps you are thinking of something similar? 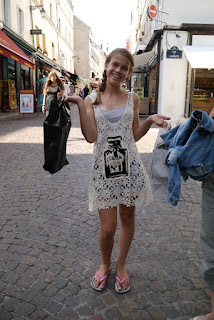 Maybe I will see you there? I will leave plenty of time for questions. It is a free talk, but you do need to book. Link here. 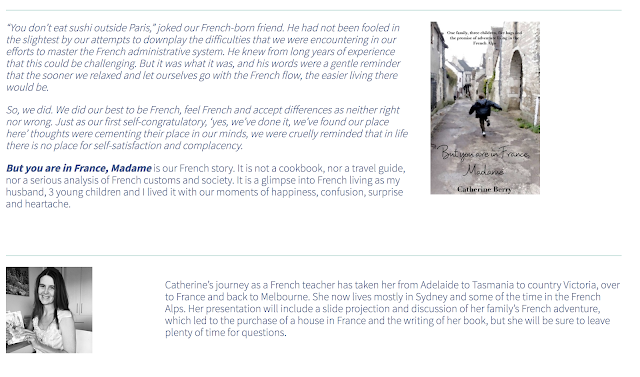 PS Copies will be available for sale on the day, but if you would like to purchase beforehand, hop over to Amazon, where ‘But you are in France, Madame’ can be purchased as Kindle or print options. Perhaps one for a Francophile friend, one for you?